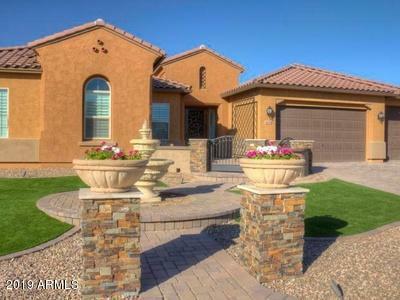 All SUNRISE VISTA homes currently listed for sale in Peoria as of 04/20/2019 are shown below. You can change the search criteria at any time by pressing the 'Change Search' button below. "Fall in love with your dream home! This stunning newly built home is so spacious and shows like a model! From the serene water fountain, private court yard with custom wrought iron doors, to the beautiful mountain views in back!!! Tons of custom finishes through out this spacious 4 bedroom 2.5 bath single story home. Beautiful gourmet kitchen looks like it belongs in a magazine, with a separate pantry ROOM!!! Plus an oversized bonus room perfect for a theater, game room, gym, home school, home b"